At Phinney Ridge Painting We care about the safety of our customers, employees, the environment, and our community as a whole. If you live in an older home, the chances are that there is old lead paint somewhere on the inside or outside of your home. When hiring a painting contractor, making sure that they are an EPA Certified Lead Safe Firm is one of the most important things you can do for your family and for your home. In most cases, other painting businesses will send one employee to receive EPA RRP lead safe training and then expect that person to keep the business in compliance. At Phinney Ridge Painting we send every single one of our Lead Painters to be trained and receive their indivdual certification to ensure every one of our projects is headed up by someone who has been through the classes, is personally responsible for the work being done and knows how to keep your family safe from the dangers of lead. Lead was removed from all residential paint products by the EPA in 1978 but many homes built before then still have multiple layers of lead paint under newer layers of acrylic lead­-free paint. It is also important to note that the leaded paint itself was designed to migrate into the fibers of the wood siding and trim, making the wood material itself as dangerous as the paint. The older the home the higher the likelihood that lead is present and the higher the concentration and potency of the lead additives used. 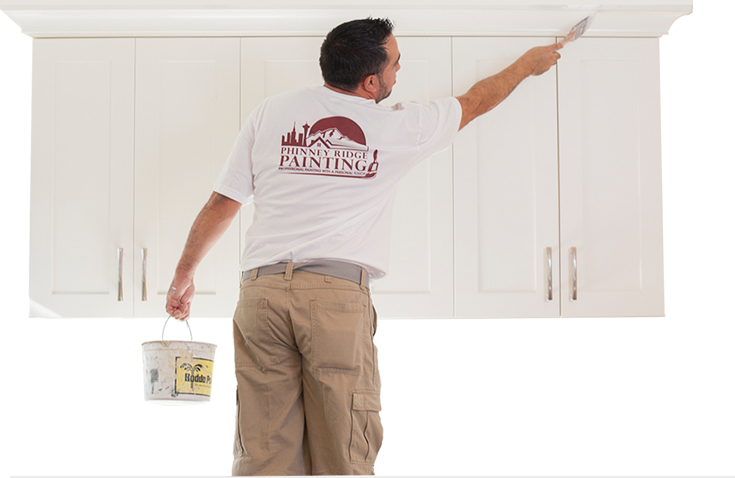 It is important to know however, that not all painting companies and independent painters are EPA Certified and that hiring a non­ EPA certified contractor to work for you could have huge risks. The process of preparing a home for paint involves several stages that can spread lead paint chips and dust. From scraping to sanding to power washing- if the right approach, materials, and equipment are not used you will most likely find chips in your garden beds, dust inside of your home, and debris on adjacent properties creating issues with your neighbors. Being an EPA certified firm isn’t cheap. Costs include worker training, safety gear, high quality materials, and expensive paint removal equipment. You may not understand the difference in cost when you initially receive quotes for your job, but you will in the end whether you hire a non­compliant contractor or your hire us. The difference in practice and result is stark. From the first step of the scraping process through to the washing, prep, and application of finish coats- we will take the utmost care to contain and properly dispose of lead on your home. Volatile Organic Compounds (VOCs) or “solvents” are a large group of chemicals that are found in many products used today to build and maintain our homes. Once these chemicals are in our homes they are released or “off-gas” into the indoor air we breathe. For interior AND exterior use we strive to use products that have the lowest possible VOC counts while still maintaining our high expectations for appearance and durability. We have completely removed all high VOC oil and lacquer based primers and paints from our interior product line and have dramatically reduced the VOCs present in our exterior products. With low-VOC and ultra-low-VOC products comprising the majority of our interior paint offerings, we can also provide Zero-VOC and Green options upon request!